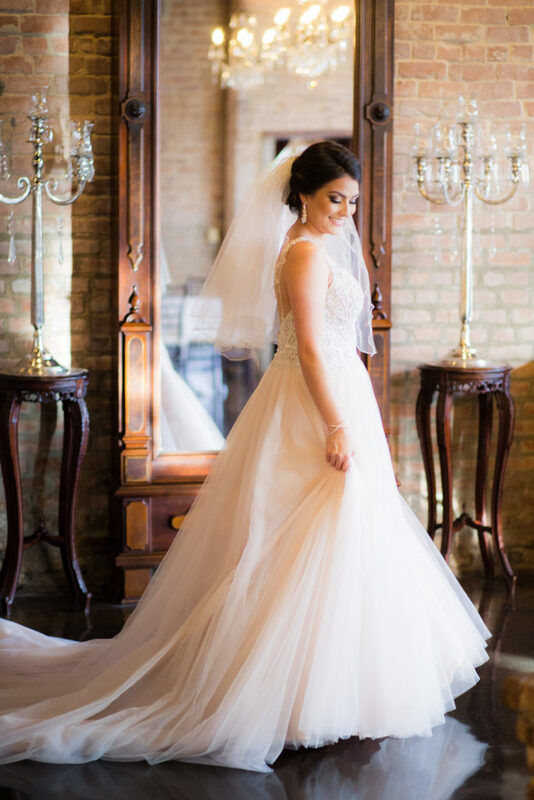 Before Christina and Alex’s big day, I took Christina’s Bridal photos at Butler’s Courtyard. 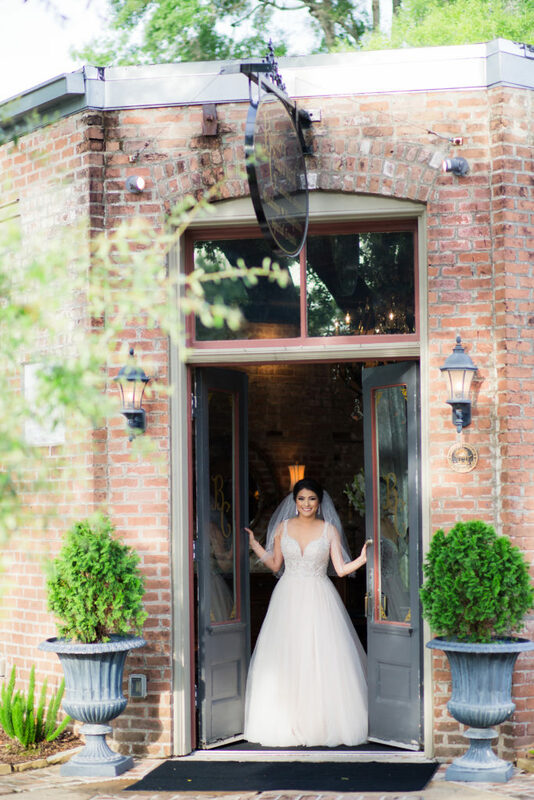 Most of my Brides take their Bridals at their wedding venue, because it provides an indoor option, sidewalks, a nice clean space to put your dress on in. 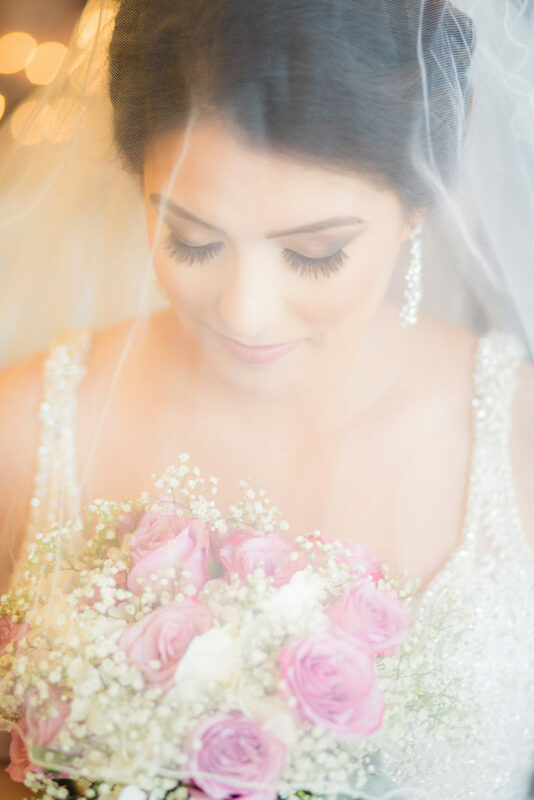 On this day, it had rained earlier in the day then cleared up by the time of the Bridal session. 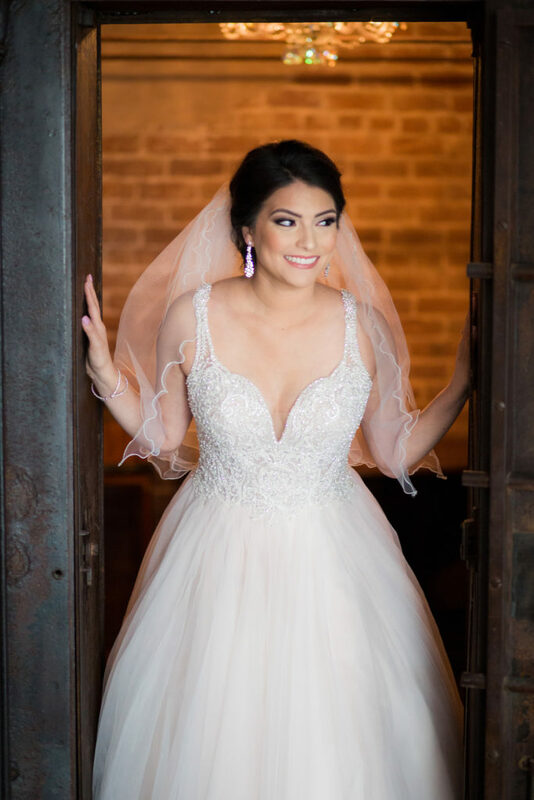 For the Bridal session, Brides often have taken off of work if a venue requires a weekday session, booked trial hair and make-up, ordered flowers, and possibly their helper (like Mom) has taken off of work as well. 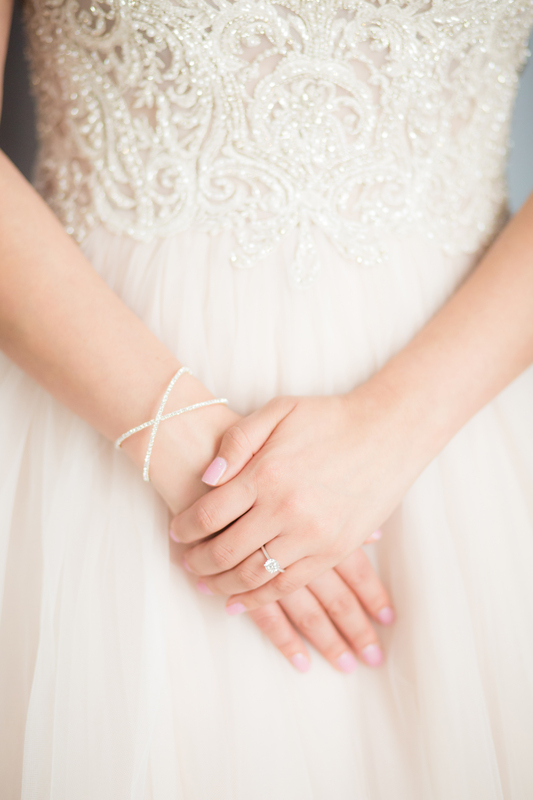 Often times, more has been booked for a Bridal session than an engagement session. It is hard to change these sometimes even if I can change. 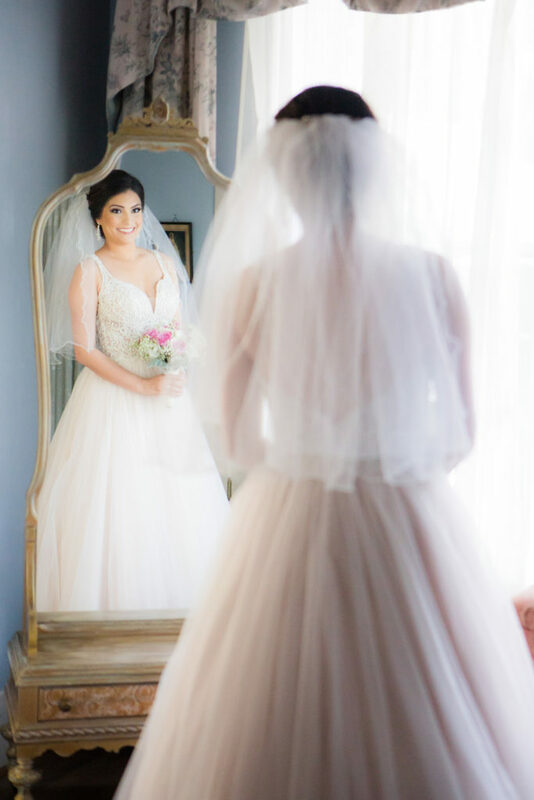 Since it had rained earlier in the day, Christina and I both wanted to keep her dress in pristine condition before wedding day. We took a lot of our photos in Butler’s Rose Cottage as well as in the Grand Hall Reception area. 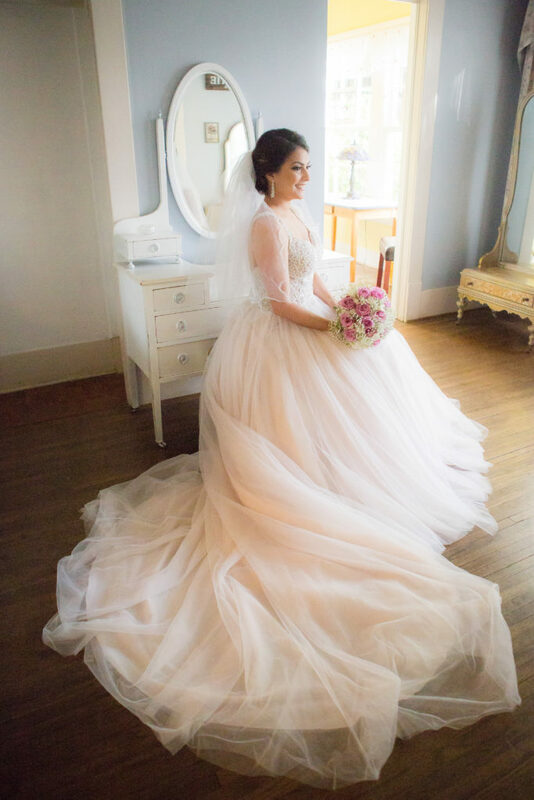 Rose Cottage is such a beautiful space for photos. 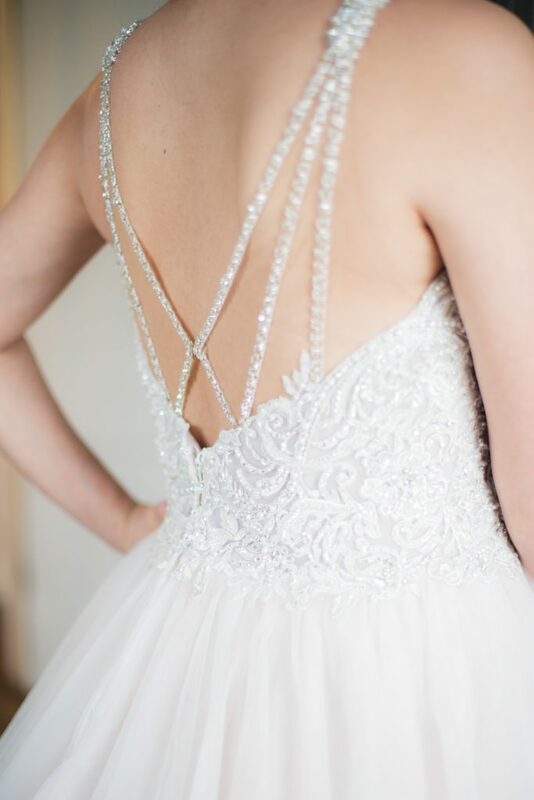 This back detail on Christina’s dress was just amazing. Christina looked perfect. About halfway through the session, we added her veil on as well. Butler’s Courtyard is truly an authentic vintage building, as it used to operate as a Bank. So, we took a picture of Christina peeking out of the old bank vault. Here is the entrance to Butler’s Courtyard. 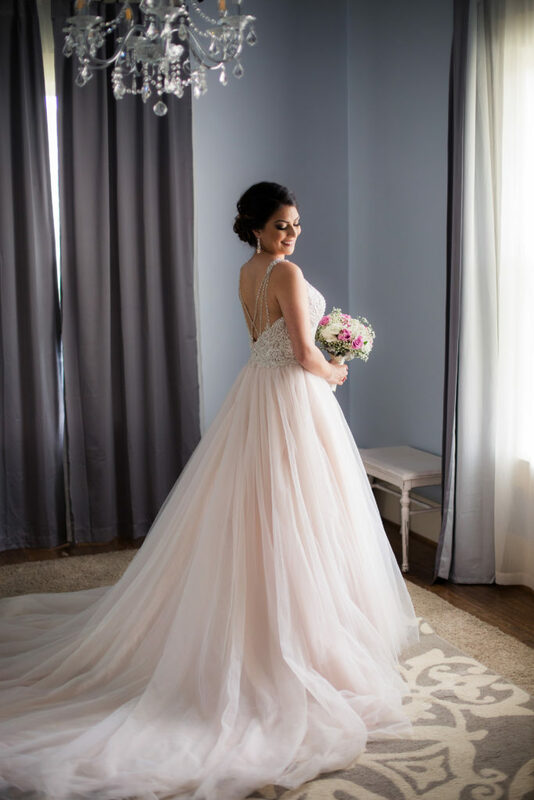 I thought Christina’s dress looked so beautiful as it twirled, so we had her dance around her venue’s dance floor to have a few movement photos as well. 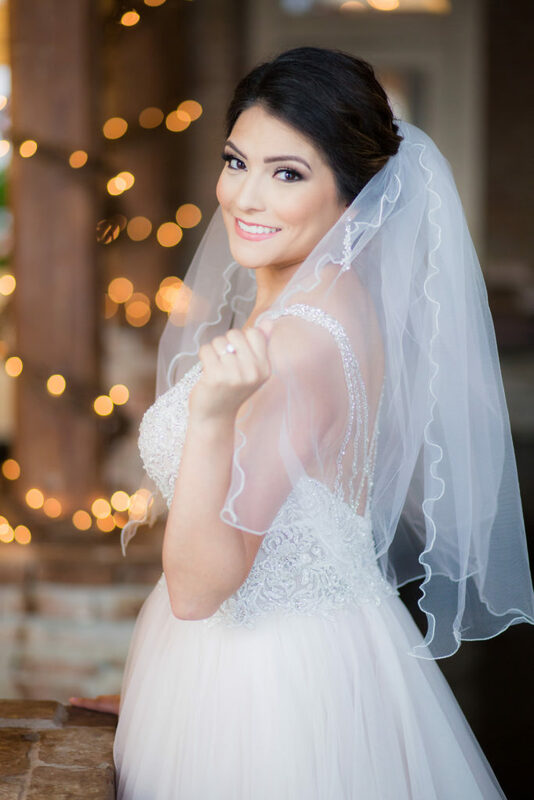 Christina didn’t wear her veil over her face for ceremony, but I always love the Bridal shot with the Bride under the veil. It also shows off her pretty make-up and sparkling earrings. 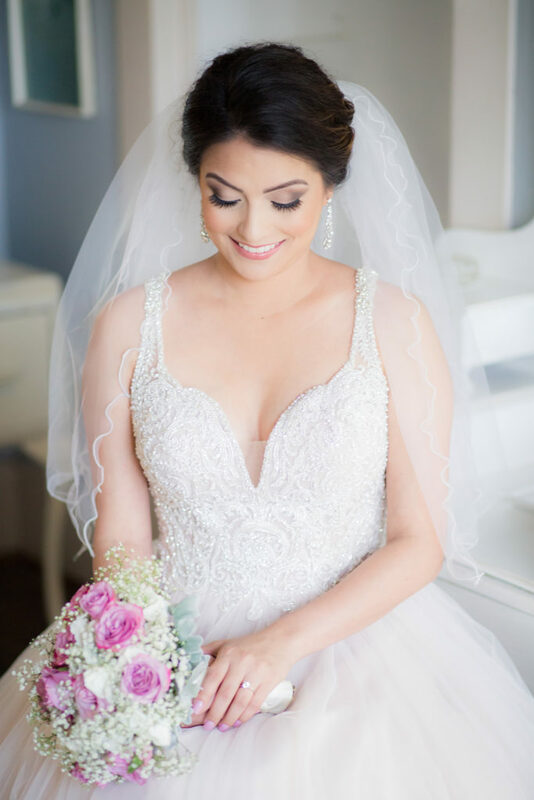 I always love Bridal sessions. 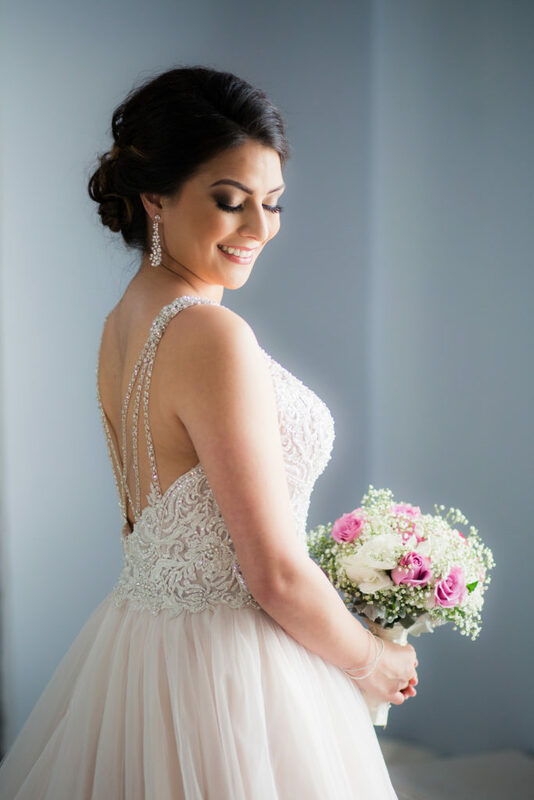 We can really take our time taking gorgeous portraits of the Bride, and she has a chance to try out her hair and make-up, shoes, dress, and see if there’s anything that needs adjusting before wedding day. Oh yeah, and you have these gorgeous photos of yourself to keep forever. hehehe!